I'm that annoying person who already has her holiday shopping done. 3 years ago, Mark and I were at the mall the weekend before Christmas (you can imagine how crazy THAT was) and I told myself NEVER AGAIN will I wait until last minute. Between that and a little elf I call Amazon, here I am twiddling my thumbs with a month to spare. Don't worry. I'm going to totally help you out with three gift guide editions this year. For the ladies, the men and kiddos, too. This is great for any woman who spends a lot of time in the kitchen. Not only does this carousal of utensils make for a cute display on any countertop, each of the utensils has a special handle that ensures the "used" end of the utensil sits above the counter. Sort of like a built in spoon rest. This is the perfect perfume because it's sweet and floral-y without being to perfume-y (because I hate that.) It's a winner for all ages. Bonus: pretty packaging! Big Spender? This rose-gold watch by Michael Kors is the perfect arm candy for your favorite woman. Trust me, she'll love it. These adorable headbands are perfect for those gym-lovers and runners. Great stocking stuffer, too! 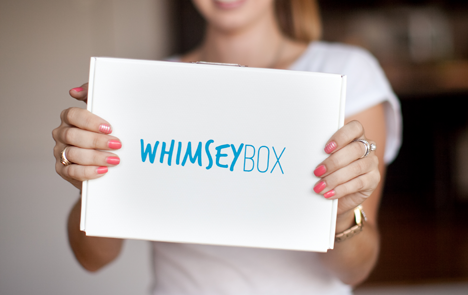 Don't get too excited, but WhimseyBox is like Pinterest on your doorstep. Gift her a subscription to Whimsey box for $15 a month. Seems like serious fun for all those crafters out there. Sidenote: Santa is totally bringing me this. I love this little journal, that shows you what was going on in your head-- over the span of five years. 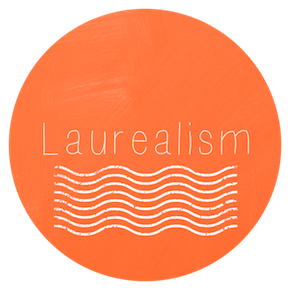 Everyday it asks you a little question like, "What do you consider to be your biggest achievement?" or "did you kiss someone today?" or "what are you a geek about?" Then there are five sections for you to date and answer... it's interesting to see how you answer the same questions differently, only a year (or two, or four...) later. This would make a fun gift for anyone who's headed for a life change (college, wedding, baby, etc.) Another great stocking stuffer! Because your stocking can never be too full... and nowadays so many have a smartphone... these gloves allow you to operate a touch screen, without freezing your fingertips off. Yes, please. My gift guide wouldn't be complete without at least one book on it. Gone Girl is one of those can't-put-it-down reads and is one of the "it" books of the year. I'm not usually into the murder mystery genre, but I was into this. This is the coolest tea accessory ever. It's a simple and efficient way to brew loose-leaf tea (if you haven't checked out a Teavana location and all their amazing teas, you totally should.) If she's a tea drinker... she needs this. What's on your wish list this year? What's your go-to gift to give the women in your life? Did I forget something Ahhh-mazing on my list this year?